“God did this.” These were the first words spoken by Rev. Annabelle Wallace, as she shared how this incredible project began. The story of what Westmount Presbyterian Church did, tearing down their building and redeveloping their land to make room for a smaller church structure and sixteen units of large family housing has made news all across the city. But it all began with an envelope that came across Rev. Wallace’s desk; an invite to an open house by an inner city housing organization addressed to the person who had been there two positions before her. She decided to open the envelope. Then she asked Les Young (an elder who didn’t want to be involved in any of the ongoing building discussions taking place at the church) to go check it out. If either of them had decided not to do anything, nothing would have happened. But God was on the move, and as the congregation stepped forward this sense of God’s Will and Presence became more and more clear to them. 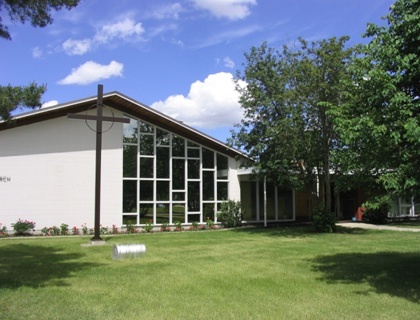 On the morning of February 20, 2018, CRIHI hosted a tour and conversation at Westmount Presbyterian Church so that faith communities from across Edmonton could come and see what had happened. Around thirty people participated; going on a tour of one of the units that was home to a family from Myanmar; and then having a chance to have a conversation with those who did so much of the work. Rev. Wallace and Les Young were able to share this journey from the perspective of the congregation. They talked about the challenges they had been facing as a small congregation in a large building that was not aging well. They also shared how their experience sponsoring a refugee family alerted them to the difficulty large families have in finding adequate affordable housing. These were strong factors in helping the congregation choose this direction for their future. Peter Amerongen from Habitat Studios was able to share his perspective as a designer for the project and as a previous member of Right at Home Society’s board. He spoke with passion about the need to plan ahead and do things right the first time; especially as design changes and environmental efficiency goals are far more difficult and more expensive to meet after things are built. He also helped explain (along with Les Young and Rev. Wallace) the fascinating current arrangement that the church now enjoys. The congregation retains ownership of the land, with a 52 year lease with the Right at Home Society. The Right at Home Society operates as the developer and the landlord; doing all the work of building and looking after both the new church and housing. The Mennonite Centre for Newcomers does the work of matching qualified families with housing as it becomes available. The church reenters the space as a renter, with significantly reduced operating costs. No roofs to fix. No furnaces to keep going. The grounds are kept and the sidewalks are shoveled by their new landlord. In that stretch of time when building was underway, the church did get punted around to a few places. But it was amazing to see how content and patient the congregation stayed through all of it; in large part because they knew that God was taking them on this journey and would see them through it. Rev. Janet Taylor, the new Pastor for the congregation was able to share some of what she was seeing happen. She marveled at the community connection already happening for the new families. Families were getting involved in the community league, the kids were joining local programs, and relationships were beginning to grow with local neighbours. Today, a new dynamic is settling in the community, and it is pretty fantastic! The church has a new home, and is able to move forward with more time and energy for real church work. Sixteen large immigrant families are given beautiful homes in a lovely neighbourhood. The local school is no longer in danger of closing due to the influx of 35 new children (this year alone! ), and the local community is excited to see new families already becoming involved in the community league and other neighbourhood programs. The wins just keep coming for everyone! 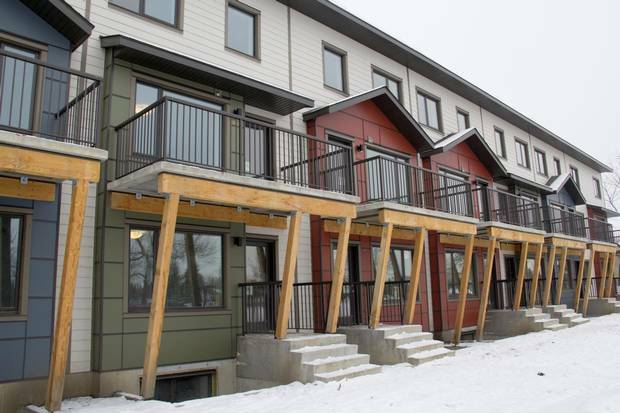 New homes for sixteen large families in the westmount neighbourhood.